The title pretty much says it all. Jurassic Park was on Ideas's verboten list for a while but with LEGO gaining access to the Jurassic World line, it looks like the projects are welcome back to Ideas as well. There has been quite a rush of project, not like Doctor Who of course, but you can't miss it. There are some impressive projects to date, but as most are "car" or "car + prebuilt dino" I don't see much of them getting out from under the cloud of inevitable discovery. Return of some classic Pirates! This is another project by DarthKy and myself and I am extremely pleased with the result AND the community response! 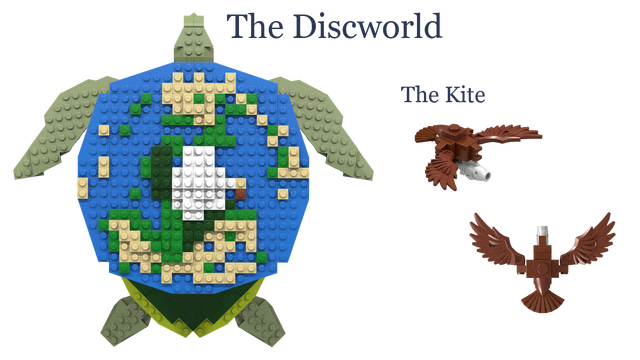 1000+ support in less than a week for a LEGO Homage is a rare event on Ideas. Darthky and I tried to create a non-ship pirate set that would appeal to hard-core LEGO fans looking for more than the standard sets provide and I think we have delivered on that mission statement. Darthky implemented a map table that just blew me away the first time I saw it. Really great parts usage. It was also a lot of fun taking the classic figures of our youth and re-imagining them with modern levels of detail. Of course, with a whole new Pirate line coming out in just a few months, and Pirates of the Caribbean on the horizon, we realize that these are pretty rough seas in which to launch our venture, but we will have fun with it anyway. I have a soft spot in my heart of the Galaxy Command line on Ideas. I was invited to help on some of the renders in the early projects but my responsibilities, LEGO and Non-LEGO both have required me to step back. However I still respect the group and love to see them come out with more content. What is Galaxy Command? Well, it is a MOC series that has been produced on Ideas with aspects of it crowd sourced to the Cuusoo/Ideas community. In many ways Galaxy Command reminds me of that webcomic you have been reading for years. If you dig back into the archive you can see where the creators were learning their style and how to basically get the most out of their art. With GC you can see how the quality and style have continued to develope. This "Revenge" is the culmination of GC to date with a compelling, rendered design, great background, and eye catching logos and designs. It has a very tough climb ahead of it though both in support and review as "generic space ship" does not tend to do well on Ideas, regardless of execution. Extremely happy to see the return of this project now that Jurassic Park is back on ideas. Marvel's Agents of S.H.I.E.L.D. "The Bus"
Great figures and an ambitious set concept! I must say however that I think the execution of the set could use a bit of work. One of the most difficult aspects I have found in creating a solid "Ideas proposal" is pairing the right set with the right figs. In this case, I feel that too much is being attempted in one design and unfortunately, both the aesthetic and the playability suffer for it. The "Bus" can't look as cool as it might because it is housing a ton of playable scenes and the playability of the scenes (the rooms inside the Bus) are less accessible due to their integration and support of the Bus framework. That being said, the base concept is a compelling one and sure to draw fans of the show. 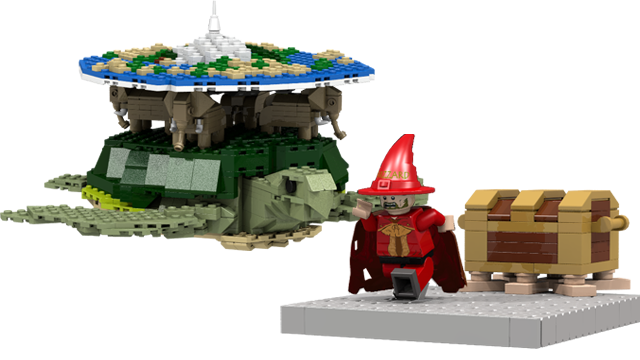 A fun concept that has a good chance of getting produced some day, if not through this project, then another, or perhaps LEGO itself. Personally, I find the idea that most gingerbread houses are the same scale as LEGO minifigure houses too much fun of a coincidence to pass up for long. While I would prefer this model to not be specifically based on an existing Winter Village set, there is technically nothing wrong with it, and the muggles are certainly not likely to judge based on that criteria. A novel design for a classic pirate ship! There is a clever technique where the hull pulls out like drawers, check it out. Sometimes a single feature, not even related to the build, can really promote a project. With this one I really love the integrated Batman and LEGO Space symbol. A well presented project. I think the fine details of the project however need a bit more kick to be a real candidate for 10,000. A gorgeous build with phenomenal technique! I am afraid its shear scale might scare away potential supporters though. A well executed design. The passenger area is especially well done. If it has a smoother look it might get a bit more traction. An extremely impressive LDD design! I do question the playability of the build however. There is a lot of content inside the build that I would question the accessibility of, with issues similar to that of the Shield project listed above. I would perhaps suggest something akin to the Deathstar, where the playscapes are fully open on the side instead of top down. These are amazing designs and, where they individualized I would not hesitate to support them. As is however I find this project too similar to the faults of the mini shop series project: uncertainty in which aspect is being supported and too many divergent IPs in a single project. A nice clean office design. I could have a lot of fun with microbuild dinosaurs. It cold be a great building lesson as well. A well done Voyage, and well presented. In interesting take on turning the movie into a set. I have always though that microbuilds along this design concept are a great idea.